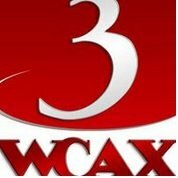 News TV Channel / WCAX-TV, channel 3, is a CBS-affiliated television station licensed to Burlington, Vermont, USA. WCAX-TV is owned by Gray Television, and has studios on Joy Drive in South Burlington; its transmitter is based on Mount Mansfield, Vermont's highest peak. Aside from its primary coverage area of the Champlain Valley in Vermont and New York state, WCAX-TV's over-the-air signal also carries across the U.S.-Canada border into portions of southern Quebec. The station can be seen on cable in Montreal (on Vidéotron channel 21, Illico channel 53, and in HD on channel 653), as far north as Saguenay, and as far east as Gaspé. It is also available on every cable system in Vermont, and statewide on DirecTV and Dish Network.